The last two reading recs have been shorter stuff, so I thought I’d change it up a bit with Jo Walton’s Tooth and Claw. Now, to preface this: I loved dragons as a kid. Devoured everything to do with dragons. (This was how I ran across Dragon’s Egg, coincidentally.) But I got a bit burnt out on dragons as an adult: when you’ve read 100 dragon stories, you’ve read them all. So it goes. 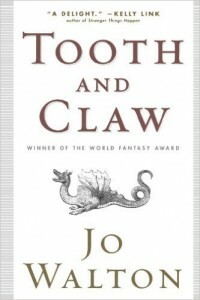 Then a couple years ago I ran across mention of Jo Walton’s Tooth and Claw, and I was baffled by its description: a Victorian novel in the style of Anthony Trollope, set in a world populated by dragons. Yes, this is (as many others have described it) Pride and Prejudice with dragons.1 Even though I had left behind my years of incessant consumption of all things dragon related, I could not resist this unique story. The world of Tooth and Claw is so titillatingly familiar to those who have read any Victorian novel. The dragons have a civilized society, based on status attained through class, money, arranged marriage, etc. The female dragons are expected to be demure and act like proper ladies dragonesses, while the male dragons seek their fortune through civilized professions, such as law, or settle down into intellectual pursuits via the priesthood. 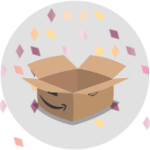 In this world, a dragon’s hoard, as well as his body, is divided upon death: this sets the central struggle for the novel when a dead patriarch’s son-in-law takes more of his share of the inheritance. Soon the novel tumbles into a quibbling family, a court case for the wronged inheritor, and a young dragon searching for love in spite of the restrictive society she was born into. In one of the book’s blurbs, Walton is quoted as saying Tooth and Claw is “the result of wondering what a world would be like if the axioms of the sentimental Victorian novel were inescapable laws of biology.” Through mixing some of the stereotypical “facts” of dragon existence with the ridiculous Victorian setting, Walton creates a unique, enjoyable gem of a story. If you like dragons, or like Victorian novels, Tooth and Claw might be a book for you. 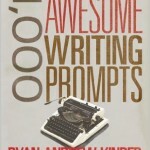 Actually, even if you do not like Victorian novels—I don’t much care for them—this might still be the book for you. Walton’s world-building and characters are just that good.